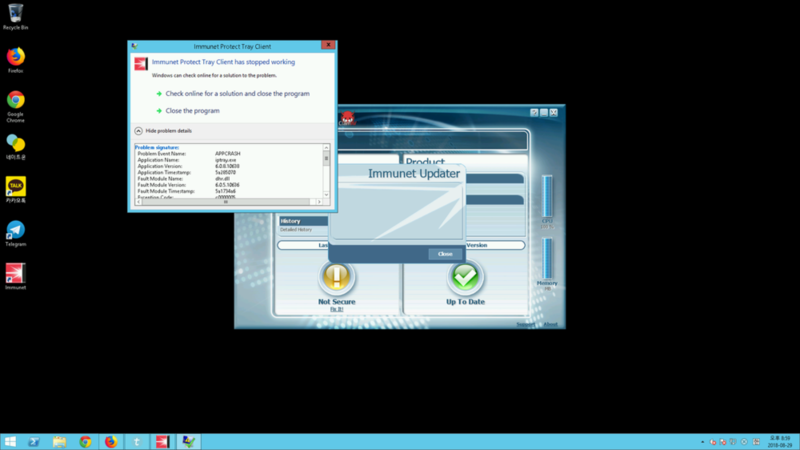 I was try update Immunet 6, but It was showing APPCRASH. My OS environment is Windows Server 2012 R2. Do you have enough space for the update? Internet connection is on? Not going through a proxy? The new version should fix this issue, upgrade.